American Gut Project (UC San Diego) hasn't added a story. This is a unique open collaboration between the TwinsUK team at King's College London and The American Gut Project (AGP) / The Microsetta Initiative to expand the study of the bacterial diversity to participants in Europe. If you are a participant living outside Europe and would like to participate, please refer to our American Gut Fundrazr page . 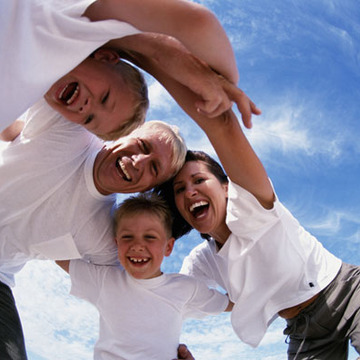 Many people don't realize that the bacteria that live inside us play an incredibly important role in our health. There are so many of them: They make up 50 percent of the cells in our body and their most important jobs include manufacturing vitamins for us and breaking down and digesting our food. The trillions of bacteria in our gut weigh nearly 2 kg (over 4lbs). This community of bacteria can be thought of as an extra 'organ' which we call our "microbiome". Recent research has discovered that small changes in this finely balanced community can affect our immune system, metabolism, body weight, mood and may even cause diseases such as Crohn's disease, irritable bowel syndrome, cancer, autoimmune disease, diabetes and heart disease. 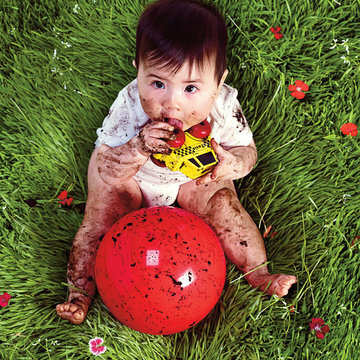 We are discovering that each person is very different and has their own unique microbiome. More research is needed to work out what constitutes a 'healthy' microbiome, and which combinations of bacteria are beneficial and which ones should be avoided. In order to do this ambitious and much-needed project, we urgently need a large scale collection of human samples. Over ten thousand people have already signed up in America already through the American Gut Project-- but we need many more from Europe. The project mainly focuses on the gut as this is our main 'microbial home', however, the study will also look at areas like the oral and skin, as these areas of the body may be influenced by the microbiome. Joining is simple! Select the kit you would like from the list of options on the left-hand side by clicking “Claim this perk” found on the right side (if you would like to receive a specific number of kits that isn’t listed as a perk, email us at info@britishgut.org ). You will receive your kit within 3 weeks after payment. Shipping within the U.K. first class should be around £2.90, but we recommend taking the sample to the post office to get the proper postage. Getting the postage right on the first try is important since samples that spend a long time in transit will likely not produce the highest quality results. After you have returned your sample to us, we will then sent it to the Knight Lab at the University of California San Diego to be processed and analyzed. We estimate that the whole process will take about 4-5 months. We typically bulk ship samples back to the Knight Lab every 1-2 months on dry ice to reduce shipping costs. Once your sample is arrives at the Knight Lab (you'll get a notification when they have received your sample), it takes approximately 3 months to return results. Each kit contains a sample collection device (or multiple if you ordered more than one), an instruction packet on how to sample, and return envelope(s) to send your sample tube(s) back. Once we provide you with your results, you will receive data visualization of how your results compare to other people who are within the same diet and lifestyle group as you (having different results from them does not necessarily mean anything bad, it can just be that you have different lifestyles that make bacterial profile is different). In addition, you will be provided with a list of the major groups of bacteria in your sample and their relative abundances (based at the genus level). These results are not actionable, and we do not provide any personalized interpretation. It will take longer than the expected 4-5 months to receive results if you are submitting one of the following sample types: Oral or skin samples. A desktop computer or laptop is recommended to register and log your sample into our participant portal website, as our participant website has compatibility issues on mobile devices and tablets. The best browser to use when you register your kit is Google Chrome. Note your de-identified information will be part of a research study and will be made available in a publicly available research database. That is, any personal information that might easily identify who you are will be removed before being placed in the public database. If you decide that you no longer wish to continue in this study, please send a request to the British Gut Project help account ( info@britishgut.org ) to inform us of your intent to withdraw. You may request a refund within 50 days of your original payment if you have not yet used your kit. Please note that the Fundrazr transaction fee will be deducted from your refund. The consent forms are maintained on the participant website; details are included in your kit. To sign the consent form, you must agree to use an electronic format for your signature in accordance with the United States' eSIGN Act and California's UETA Act. You have the right to obtain the electronic record in a non-electronic form. The results you receive from submitting a sample are not meant to act as medical or health diagnoses . We will not be able to provide any clinical or medical information/recommendations from your results. We look forward to working together on this new and exciting project! If you have any questions, email us at info@britishgut.org . American Gut Project (UC San Diego) hasn't posted any updates yet. The ribosome is the factory that makes proteins and is found in all cells, and fascinatingly it is mostly made of RNA. One RNA subunit, called the 16S rRNA, is especially effective as a barcode for understanding which microbes (specifically, bacteria and archaea) are found in a given sample. This perk includes DNA extraction and 16S rRNA sequencing of one stool sample (or an oral or skin sample – the same kit works for any of these), and shows which bacteria and archaea were present in that sample along with how much of each kind. You'll be able to view, download, and print a high-resolution certificate suitable for framing of your results and access to more detailed taxa report of your results - which can be viewed online and downloaded into Excel. DNA extraction and 16S rRNA sequencing of two stool samples, e.g. couples, father/son, mother/daughter, you and your dog (or, one stool and an oral sample – it's up to you – mix and match how you like). You'll be able to view, download and print a high-resolution certificate suitable for framing of your results and access to more detailed taxa report of your results - which can be viewed online and downloaded into Excel. DNA extraction and 16S rRNA sequencing of three stool samples if there are three of you in your home (or, two stools and an oral sample, or one stool, one oral and one skin – it's up to you – mix and match how you like). You'll be able to view, download and print a high-resolution certificate suitable for framing of your results and access to more detailed taxa report of your results - which can be viewed online and downloaded into Excel. 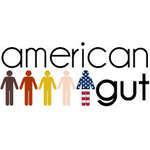 American Gut Project (UC San Diego) is managing the funds for this campaign. 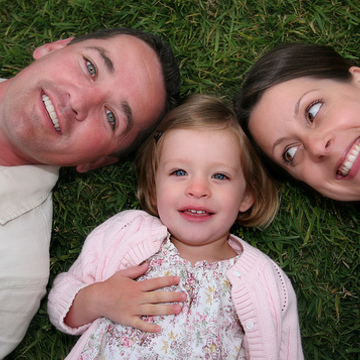 American Gut Project (UC San Diego) is a verified organization.